Over the last several years, I think I've seen pretty much everything when it comes to running so it's rare to see something new and exciting that is also a great idea. This is where the GPS Demo Program at RUNdetroit comes in. For $40, rent a GPS running watch for a week. Take the unit back and swap it out for another unit to try for another week. 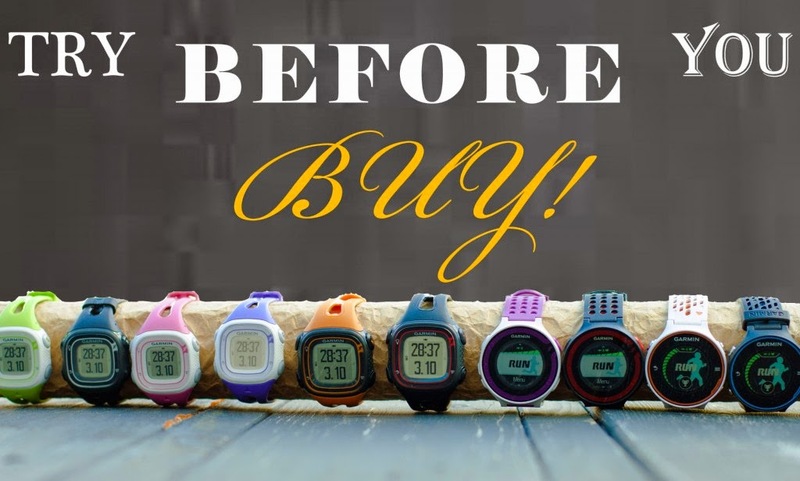 Buy a GPS running watch from RUNdetroit within 30 days after and you will get a $40 credit towards a new GPS running watch! It's that simple! I've purchased a couple watches over the years and I think it's a win-win situation. You get a chance to try out two new watches before you commit to the price tag of a new one and if you buy it from them, it was a free test. I think this becomes even more important if you are looking at some of the higher end models. Of course, there's no obligation to purchase a watch at all if you don't want and can view it as research that's well worth this price in my opinion. Your current choices are: Garmin Forerunner 10, Forerunner 15, Forerunner 220, Forerunner 620 and Vivofit. From Nike, you can try the Nike+Sportwatch. I hear there will be more choices also coming. Give them a call at 313-649-RUNd(7863) and tell them Detroit Runner sent you. Disclosure: I was not paid or compensated in any way for this post. I just love the idea. I also like the idea!